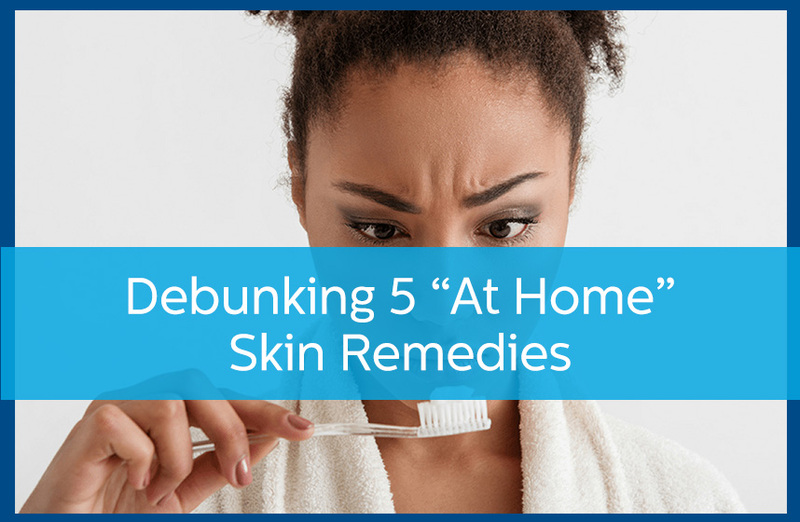 While some home remedies do work, others don’t, and when it comes to your skin they sometimes make conditions worse. That’s why making yourself a guinea pig to “see if it works” is a bad idea. To help avoid these negative consequences, here are five skin care home remedies to avoid. Toothpaste that contains zinc may actually help dry up acne spots, but most toothpastes today no longer contain zinc. The menthol in it may feel good, but it is not really doing what you think it is. People think milk will supply cheap lactic acid, which would help your skin. But milk would have to be quite old to have any lactic acid content, let alone enough to really help. Your skin’s natural oils protect it and keep it moisturized, but the fats in butter or margarine are no substitute for the real thing. There are many therapeutic emollients which protect the skin more efficiently, reduce the risk of infection, and avoid the possibility of rancid butter on the skin. Earl Grey does contain polyphenols that would fight skin inflammation, but it also contains limonene. Limonene is found in bergamot, a flavoring in Earl Grey tea, and in rare cases it can cause allergic skin reactions. . Ouch! Baking soda has a much higher pH value than your skin does. Applying baking soda, no matter how diluted, changes the naturally acidic skin pH and destroys your skin’s ability to fight infections. The damage is greater than any slight exfoliating benefit. Yes, lemon juice might have some mild ability to lighten dark skin spots but the irritation it does in the meantime is not good for your skin. Its highly acidic (pH 2) citric acid increases photosensitivity and may irritate even skin that is not normally sensitive, especially on the scalp. Toothpaste and baking soda have their obviously beneficial uses, and nutritious foods are quite helpful on the inside of our bodies. But on the outside they may not be a wise choice no matter how healthy they are in your diet or helpful in hygiene or around the house. If you’re dealing with skin issues, schedule an appointment with Avail Dermatology by calling 770-251-5111 for a consultation.